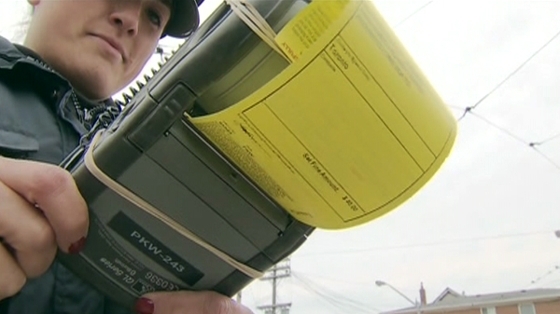 The days of having a glove box full of unpaid parking tickets without having to worry about it is coming to an end in Toronto. Starting this week, parking enforcement officers in Toronto will have the authority to have a vehicle towed that has three or more unpaid and undisputed parking tickets. With the added incentive to pay up or lose their vehicle, I expect that the delinquency rate on parking tickets in the city will soon be much lower. Of course, there are tickets that get issued without merit, and many of us have had them. This tow and impound policy applies only to tickets that are both unpaid and undisputed. Therefore, if you have a ticket that you disagree with, you need to file a notice of dispute rather than let it sit. Personally, I think this is going to be of benefit to the community. No one likes it when they see vehicles blocking lanes of traffic, especially when it's busy, by someone who thinks they are more important than the rest of us. With the risk of losing their vehicle, they might think twice. For those who own businesses, they will need to keep an eye on their company vehicles and the staff that are driving them. I can also see that some are going to feel victimized by this policy when their vehicles start getting towed because their employees, friends, kids, etc. decide to toss a ticket rather than paying it. Additionally, the fine for blocking traffic during rush hours (6-10 and 3-7 Monday to Friday) will rise from $60 to $150. As well, parking officers will also be able to issue tickets for expired license stickers. I'm not sure why the last one falls under municipal jurisdiction, but the idea may be to impound vehicles that don't have an active license, as they may be a problem with a large number of tickets but no recourse without getting the police involved. What do you think? Over the top, or a good thing?